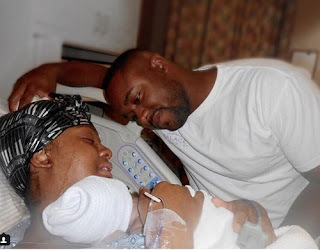 Neshe Vonte, who is an America-based lady, has taken to her Instagram page to disclose how she went through 34 hours of labour and was at a risk of a cesarean section before the healthy baby came out. She further shared what women go through during birthing, and described the process as excruciating. 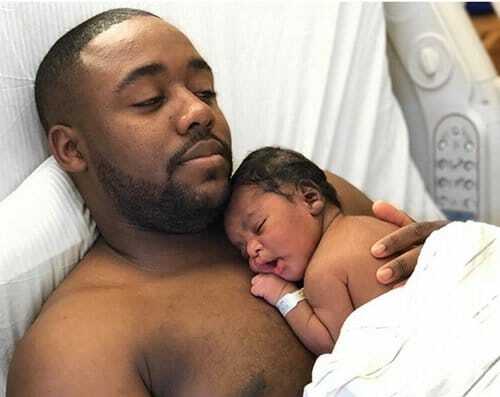 “After being induced, going through 34 hrs of labor, at risk for a c section, slowly watching my whole birth plan go into shambles, and a failed epidural my little bundle of joy decided to bless us with his presence. “Peek A Boo This was the PERFECT going home outfit! I think it hilarious that I posted the pic on the left at 36 weeks thinking he would arrive the following week.